Scores of sympathisers from Kano and other parts of the country have been continued to troop to late AVM Hamza Abdullahi’s residence at Hotoro area to condole with the family over his demise. The former Military Governor of Kano state died in the early hours of Thursday in a German Hospital. 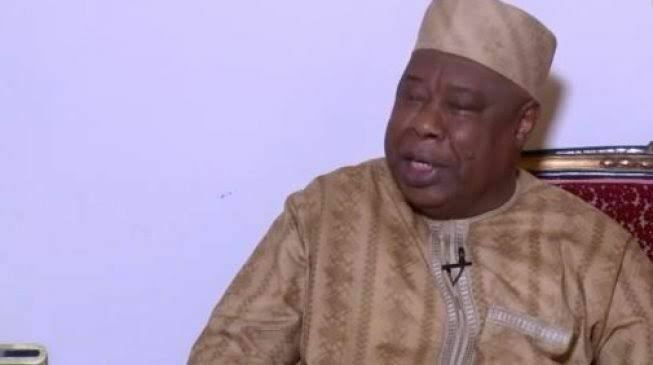 As at the time of filling this reports the remains of the late governor was still being expected to arrive Kano, and be buried on Friday according to Muslim rites. A news correspondent, who visited his residence at Hotoro quarters in Nassarawa Local Government Area of Kano, spoke to some people who came to pay their last respect to the deceased. Alhaji Ibrahim Suleiman, a relation to the deceased who came in from Hadejia in Jigawa, said Abdullahi was a God fearing man, jovial and dedicated to service. “I came to pay my final respect to him, as he heads to his new and final home. May his soul rest in perfect peace.” he said. Hajiya Umma Abdurrahman, one of the sympathisers, also described the deceased as a father of all, who put smiles on people’s faces. Malam Liman Habibu, a neighbour to the deceased, said they enjoyed a lot from his wealth as he assisted the poor in different ways. They prayed to God to grant him eternal rest and the family the fortitude to bear the irriparable loss. The deceased is expected to be buried in Kano on Friday after a funeral prayer at the Kano Emir‘s Palace.